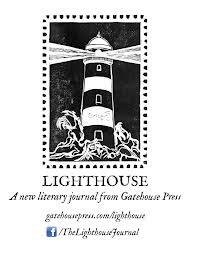 Just received my contributor’s copy for Lighthouse. Stunning aesthetica from the East of England. Only its second issue but this magazine has already established itself (to me) as a high-quality, beautifully produced and meticulously edited journal, a welcome new addition to compensate for the end of Smiths Knolll and 14 Magazine. The typeface used is IM Fell English, which is really different from the usual Garamond, and gives the magazine a special feel – it adds an element of mystery, perhaps conjures up Edward Gorey? As for the contributions, this issue contains a brilliant editorial made up of a series of letters, and then a mix of prose, poetry and features, including Tim Love’s thoughts on publishing poetry and Julia Webb’s (one of the editors) exploration of the edges and non-edges in prose poetry. You can submit your work online, and the magazine if committed to publishing ’emerging’ writers not established writers – hooray! It’s refreshing to see none of the big names in this issue, which is a bold step for a new publication seeking to makes it mark, where others often rely on shouting about a poetry celebrity on their cover. No, Lighthouse is simple, with nothing on the plain white cover other than…..a lighthouse. A beacon of poetic hope.